BAYTOWN, TX – The ribbon has officially been cut at the new Lee College Education Center – South Liberty County, which offers residents in the surrounding areas the chance to pursue a wide range of higher education opportunities right in their own backyard – from dual-credit classes for local high school students, to workforce and community education courses and corporate training for business and industry. 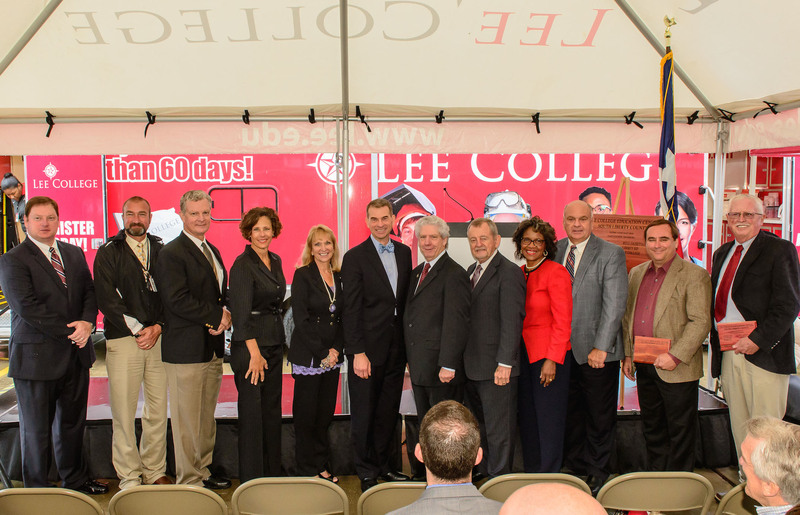 Dozens of local economic and education leaders, industry partners, friends and supporters joined Lee College Pres. Dr. Dennis Brown and other college administrators at the South Liberty County center on May 2 for the ribbon cutting ceremony. 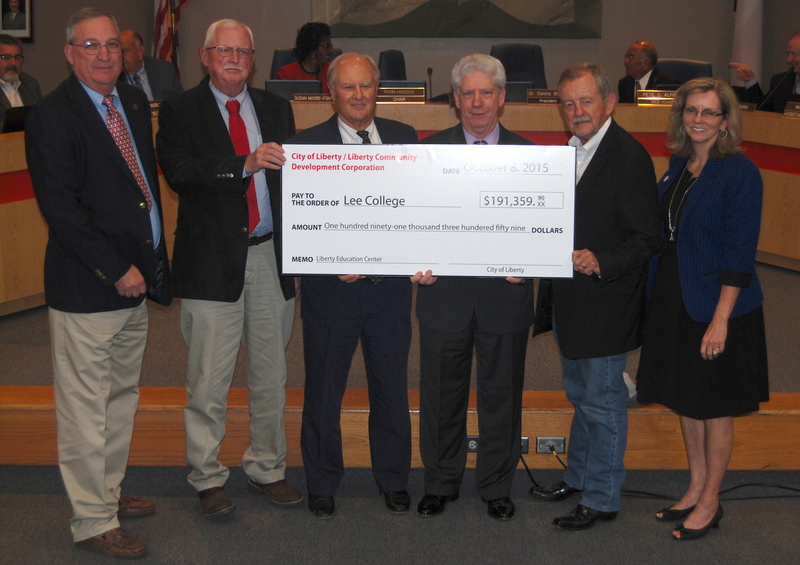 The Lee College Education Center – South Liberty County initially opened in January to further advance the college’s commitment to enhance the academic resources and workforce training offered throughout the region by providing a wide range of programming for students of all ages. The Dayton Community Development Corporation and Liberty Community Development Corporation each provided grants of more than $191,000 to help cover the costs of computers, lab equipment, technology, learning materials and other resources needed at the new facility. 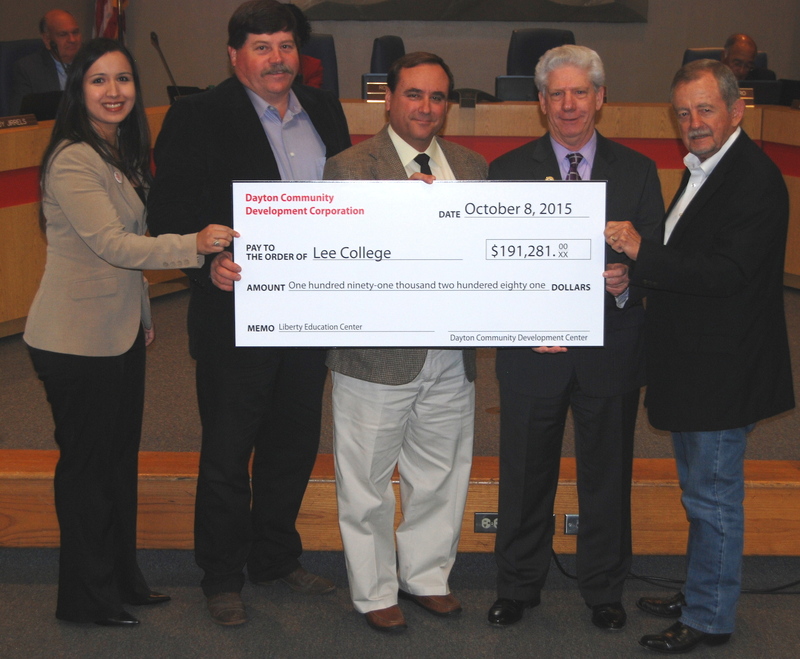 In addition, the Greater Texas Foundation invested more than $850,000 to help with seed funding for operational costs. The center now hosts dual-credit classes that allow students in five neighboring school districts – Anahuac, Dayton, Liberty, Hardin and Hull-Daisetta – to earn a college credential by the time they graduate from high school. The Dual Credit Institute will offer coursework in the high-demand technical fields of process technology, electrical technology and computer-aided drafting and design, along with academic transfer courses. The center will also provide nearby residents with a variety of workforce and community education courses, including an emergency medical technician program (pending state approval), classes for senior adults, enrichment courses and Kids at College summer camps. Business and industry can take advantage of the center for corporate training customized to fit their workforce development needs. “For generations, Lee has facilitated outstanding and affordable education and training to our high school students and adults, and it is exciting to now have a Lee College center right here in South Liberty County,” said Dr. Cody Abshier, superintendent of the Liberty Independent School District, who spoke at the ribbon cutting ceremony on behalf of all the district superintendents who were part of the project.